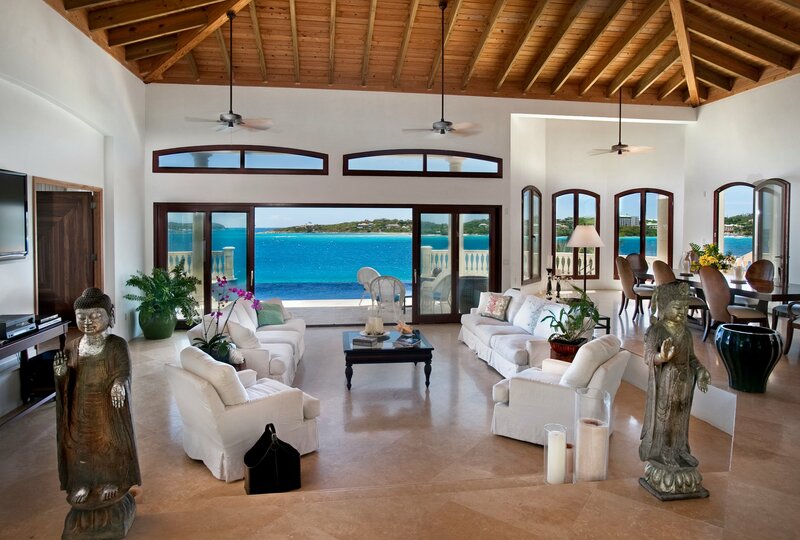 When you can have a Luxury Villa All to YourselF? Imagine an amazing vacation, away from the hustle and bustle of a busy resort with the privacy that only a private vacation rental home can provide. 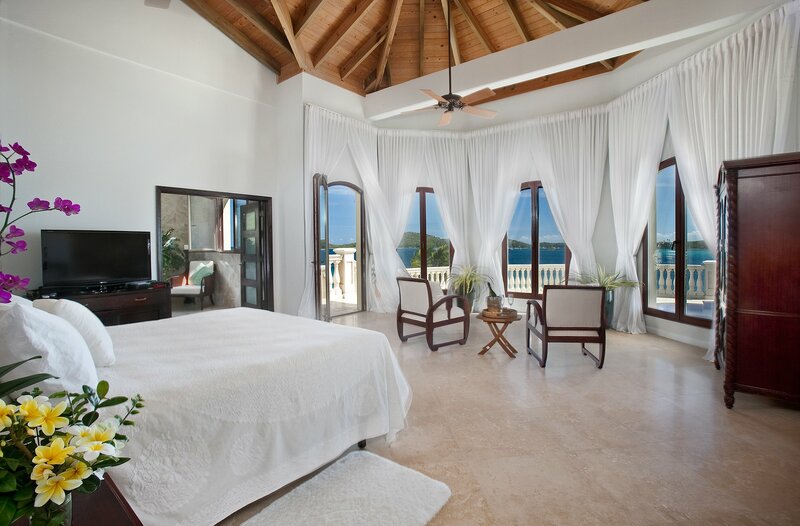 Situated on 1 acre of prime, waterfront real estate, Villa Serenita features amenities associated with the most well appointed hotels and resorts. 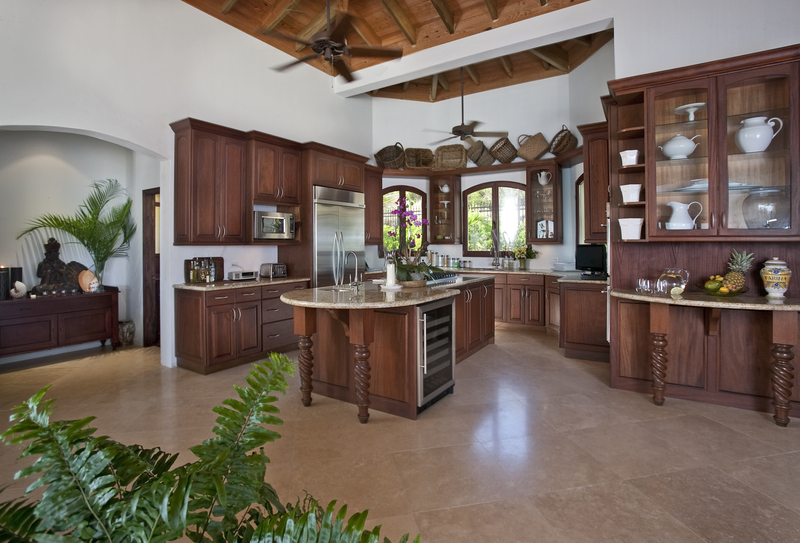 Villa Serenita is a stunning venue for destination weddings, wedding receptions, vow renewals and other special events. 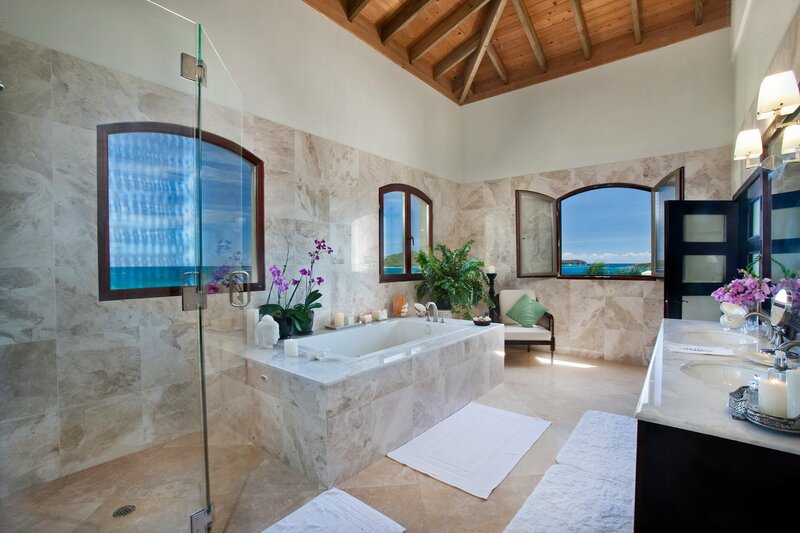 Villa Serenita is a stunning, private retreat where you can relax and enjoy the beauty of the Virgin Islands with family and friends. 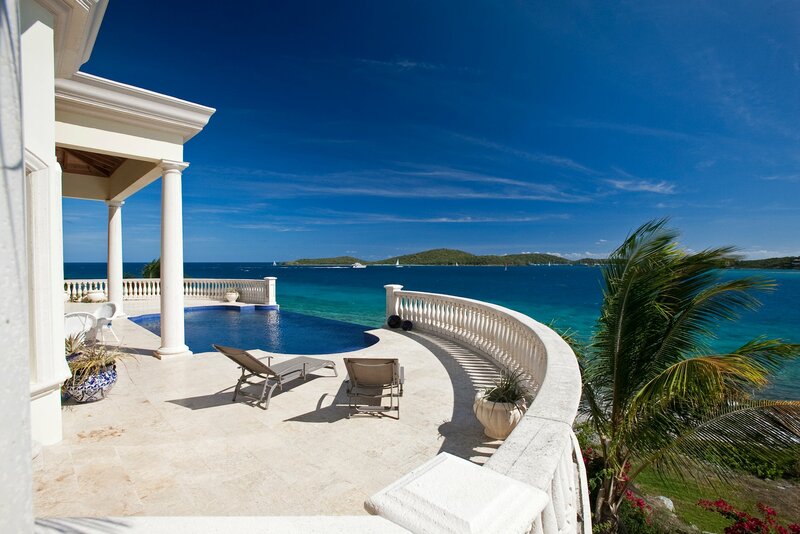 This 7 bedroom luxury vacation villa rental property is situated on over an acre of prime waterfront real estate on the east end of St. Thomas, Virgin Islands; just 5 minutes from Red Hook and 20 minutes from the St. Thomas airport. This classic, Caribbean style home offers dramatic ocean views, water access, outdoor dining and an infinity edge pool. For larger parties or groups with extra last minute guests with ocean view, air-conditioning, and black out curtains. Spend time together in the large, open great room that features comfortable white slipcovered sofas and large sliding glass doors to the infinity edge pool. Indoor dining table seats 8 and is located just off the great room and kitchen. Our family has been doing vacation villa vacations for 20 years on various islands. This was the best maintained and equipped villa we have stayed in. The owners were unbelieveably responsive and helpful. The location was lovely. I would give this villa more than 5 stars if I could. 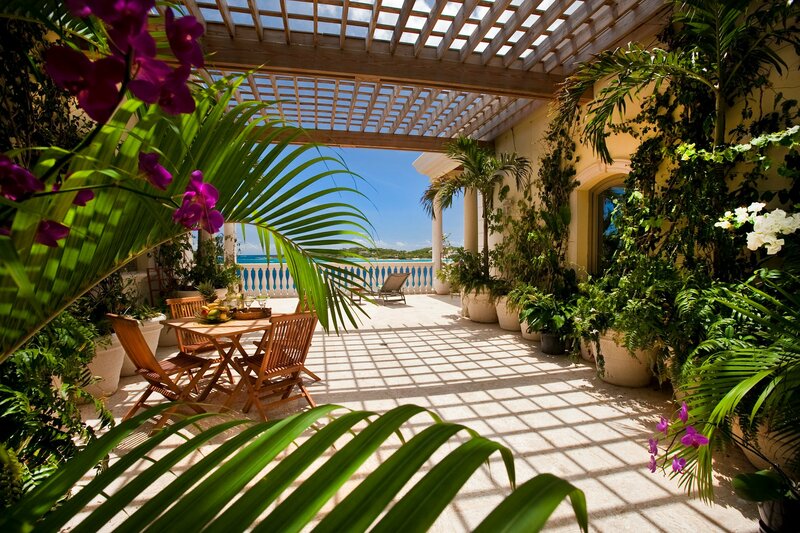 My family and I stayed at this gorgeous villa last March and it was perfect in every way. 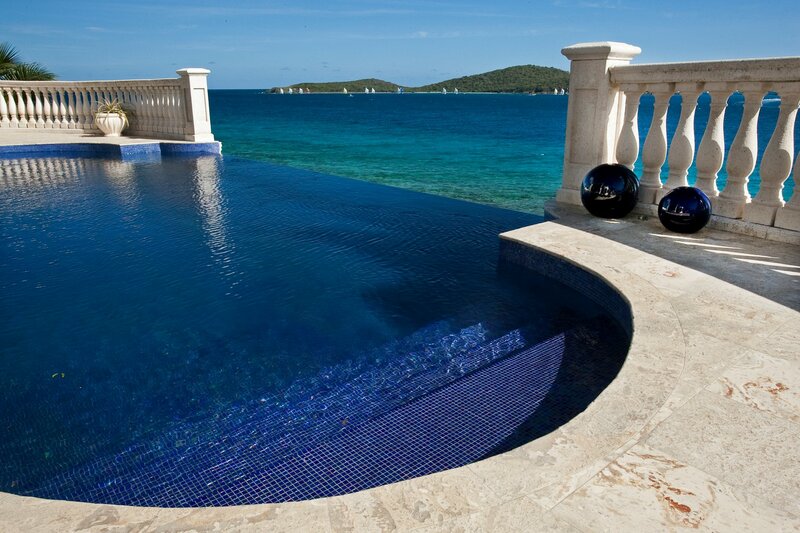 The infinity pool is peaceful and serene and the views are breathtaking. The owner was very helpful and was available at all times to answer any questions and provide help. The views from the deck of this home are amazing. It’s like something out of a magazine. During our stay we watched the Rolex Regatta from the balcony! Our two families totaling 12 were more than comfortable here. But the home can accomodate even a third family. 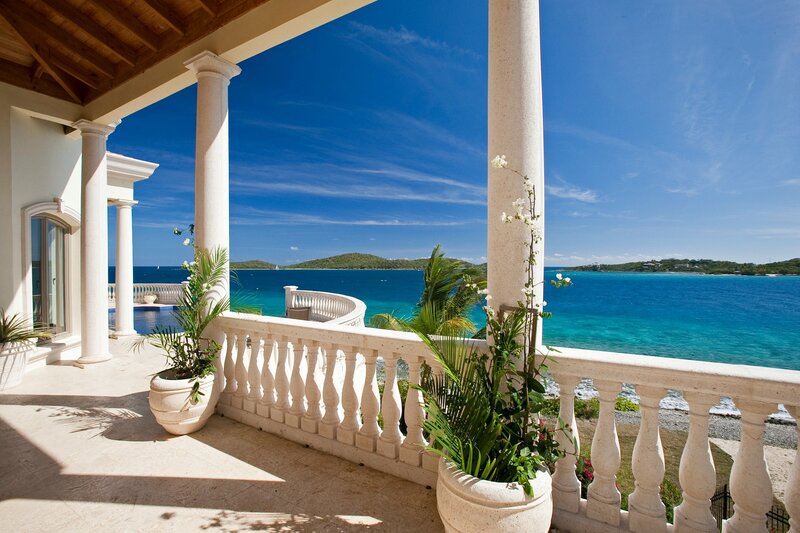 I’ve seen other homes in St. Thomas and this one is at the top of my list. It really is something special.